Dr. William Marston developed his DISC theory while at Harvard University as a method of identifying major human personality traits and translating them into predictable behaviors. It is true that people can be predictable, but they are also predictably different. 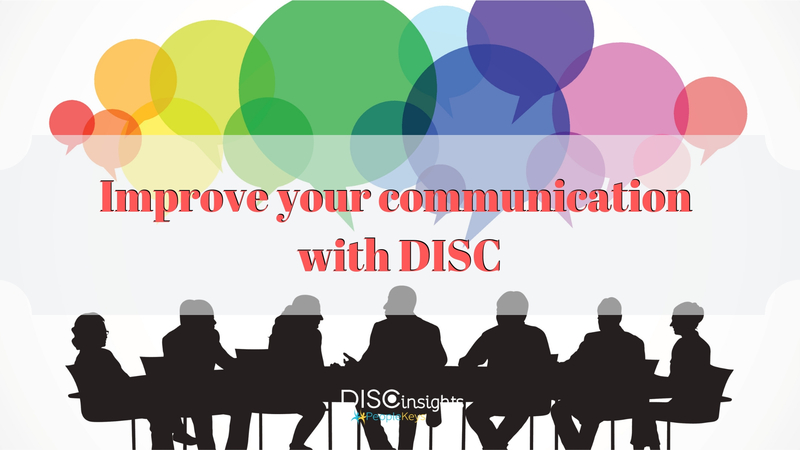 Being able to read through their personality differences is a key to good communication and building successful relationships, partnerships, families… Have you determined your DISC personality, yet? If not, the DISC Personality Profile will take you about 10 minutes to complete and get a full report of your combined personality style. Try not to assume or judge others if you have a D-type personality. Listen to what others have to say and be a bit more open-minded than you usually are. When dealing with a D-type personality, understand that they can be less personable than other personality types. They don’t read minds or pretend to. Listen for verbal and non-verbal cues that they aren’t connecting with what is being discussed and ask for their input often. They don’t like long, drawn-out conversations. If they appear to be antsy or annoyed, they probably are. Be short and direct. In writing, be concise. Appeal to their need to feel important – feed their ego. Gage the conversation and keep going if you see them getting excited. Let the D-type have control and free-reign of certain decision-making. Listen for ideas and/or projects that they seem most interested in. Discuss how it will benefit the team. Let them know how they will also benefit directly, what needs to be done and how soon it needs to be done. Motivate D’s by presenting the big picture and how they fit into that big picture. If it makes sense, you can sell them a dream – and they will take the necessary steps to get to that dream – immediately. Don’t present too much at once, however, because a D-type can become overloaded by taking on too many projects at once. If you go from a small conversation to a full-fledged brainstorming session, understand that you may need to show which projects should receive priority and why. Otherwise, you may find that quite a few projects will never get done. Because “I People” are natural influencers and social cues are their “thing.” Active listening won’t be so hard. On the other hand, if you are an “I” type, you may be listening to the other party too optimistically – if at all – and need to take time to digest what the other person is saying, in addition to what they are doing when they are saying it. As an I-type, you do tend to go the extra mile to make another person happy, but you also need to spend more time focused on actually taking action and not overlooking the details. I’s want to understand a scenario, but they don’t necessarily want a drawn-out reason, as to why it’s that way. An asset, you will learn that when working with I-types that they are also problem-solvers, especially when it comes to interpersonal situations. Listen to what they have to teach and understand that if something is being addressed, there was probably a larger problem at hand than the “I” lets on. When dealing with I-types, listen to what you can do to provide them with increased flexibility, why they are finding difficulty with other members of the team and what conflicts are getting in the way of business. I’s are known to more actively express their ideas with others and can easily motivate the team. You will find out what they think people need and appeal to the team in ways that they will succeed overall. I’s will never let them down. Don’t present them with too many details, or they will overlook those key details that will offer success. Gage whether they were listening to you or not and make sure that they aren’t overpromising future goals and deadlines. In order to set prepare for regular I-type behavior don’t set actual deadlines. Provide them with an ideal timeline to fulfill an immediate need and to better match their personality style. When it comes to actively listening and communicating, these people can be hard to read. Because they are good listeners, they will show empathy, even if they don’t agree. Listen to the subtleties in the verbal cues. Because they don’t like confrontation, their non-verbal cues will show that they are actually trying to listen and actually care about what is being said. Find out what is important to the S. Although they are more routine than other personality types, they take charge when they really care about something. They bottle up quite a bit in order to minimize the intensity of the work environment. They only open up to those that they trust. Help them open up to keep them de-stressed, they are the glue to our daily operations and it is necessary to keep them together. Because they can be drawn to routines and redundancy, find out what they have been working on and help them to move on to the next process. Find ways to diversify their efforts in the work environment by demonstrating how they will be an asset to various areas across operations. Show them that they are genuinely appreciated by the entire organization. Because they naturally support others, find ways to show that you have their back in return. Listen for any insecurities or concerns about the work environment. When dealing with change, you may have to show that you are more than just supportive in helping them transition into the next plane. When engaging with C-types, it's not wise to selectively listen or respond to what is being said. Because they will be intent on what you are describing, the same is to be expected in return. You must also realize that when you speak, the C-type mainly cares about logic and how each piece fits into the puzzle. They can over-analyze the situation and may seek out an ulterior motive – even if there isn’t one. To impress a C and keep them interested in conversation, break down the facts and show how everything is connected. Pay attention and listen to both verbal and non-verbal cues. If they aren’t listening to you, they are either bored, see flaws in what you are saying or just “don’t’ buy what you are trying to sale.” If they are interested, they will listen. Make sure to keep their focus and that your message gets across. Remember, the “C” personality tends to be detail-oriented. This means that they will pick up on the small details and won’t forget anything. When actively listening to a C-type personality, it may be wise to slow down your thought process and absorb what these people have to teach. Understand that they will most likely listen to you with an apprehensive ear. In fact, listening to their objections just may help you develop fool-proof strategies for any project that you are working on. Ask questions and show that you are genuinely interested in the facts. This will build trust between you, and they will be more apt to listen to your spill with less of a guard.